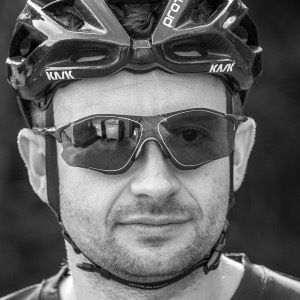 This plan has been created to focus on improving your endurance to complete this 100mile sportive focussing on the demands/energy systems of riding in Norfolk! The start date for this plan is the 11th March 2019 and will take you right up to the start line. As this is your first test we are going to use RPE to pace the effort of the test, see link below for a simple guide for this. This test will set your Functional Threshold Power along with an idea of what your v02 max power currently is. We are looking for both intervals to be controlled for the duration so you will need to gauge intensity for each. Be aware that the perceived effort will feel different at the start and the end of each interval even though effort may be the same. At the end of both the 5min & the 20min effort you should have nothing left in the tank. The purpose of this workout is to improve your aerobic endurance and make you more efficient as a cyclist. The idea is to stay in HR Zone2 for the entire ride. Go as slow as needed on the hills to make sure HR does not go over Z2. It will seem slow when you first start doing these rides but you will become faster. Tempo is the most common intensity to ride at for any cyclist and although you can spend too much time in this zone it is useful for time crunched athletes. These blocks done at a lower cadence will also help build muscular endurance and the short recoveries will keep the intensity up without being un-manageable. Cadence drills are designed to help improve your pedalling. During the intervals don't worry about power or HR but concentrate on good form trying not to bounce on the saddle and build the cadence steadily which will help. During the sweetspot blocks don't worry about the exact power but use as more of a guide. The cadence is the main objective of this workout. This session is looking to build your base fitness but rather than just riding the entire time at stranded zone2 we are going to be doing intervals of 5min@ 70rpm and 1min @ 90rpm which will build extra fatigue in a shorter period of time.